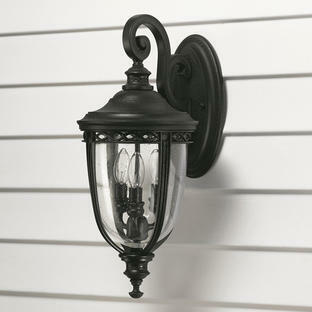 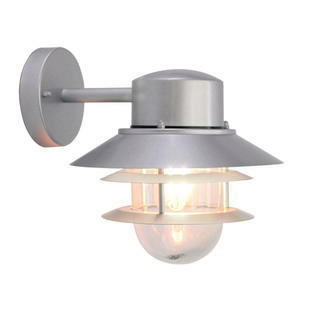 A wall light suitable for use in the harsh conditions. 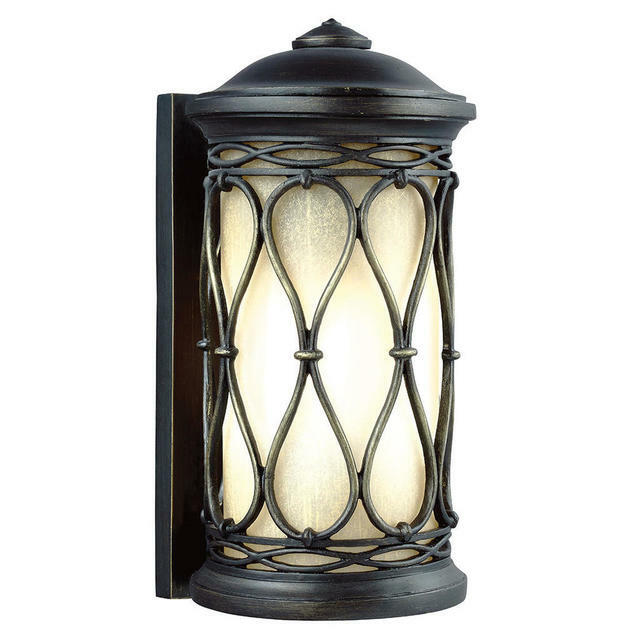 The Wellfleet outdoor wall lantern is made of a proprietary composition, which has exceptional durability to withstand the harshest elements. The lantern features a classic infinity motif detail which complements the cylindrical lantern silhouette. 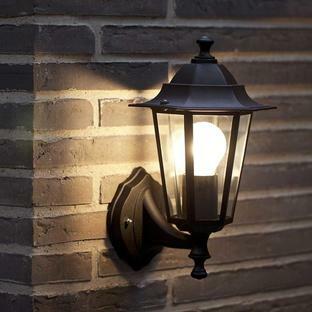 The amber glass shade elegantly obscures the light bulb.